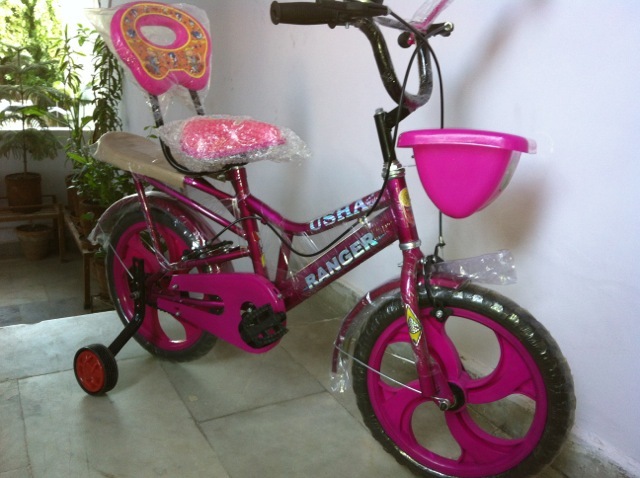 A bicycle for a 5 year old with tubeless tires…..…..errr let me rephrase… a bicycle with tubeless tires for a 5 year old ??? Still sounds weird? 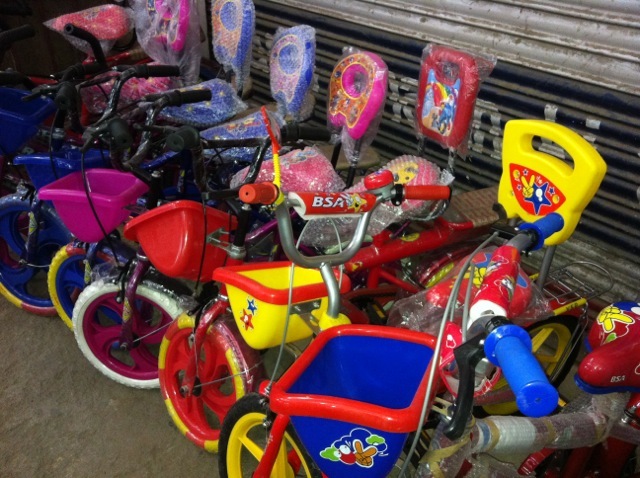 mmm think so …Ok, one last try… a bicycle for a 5 year old, costs between Rs 1500- 1600 (USD 30~35), if the tires are tubeless and costs more than Rs 3000 if the tires are with tubes. The huge variance is because tube ones are from known brands and known brands don’t do tubeless. Hence tubeless are assembled and cost less. My “experienced” friends with 3-5 year old offsprings, suggested me to buy a tubeless one to avoid the pain of refilling air. I don’t see those young buds racing bikes anyways, so I went for the tubeless one. Red, Blue, Pink, Yellow..so many colours the cycles show! Kids are really getting serious these days! 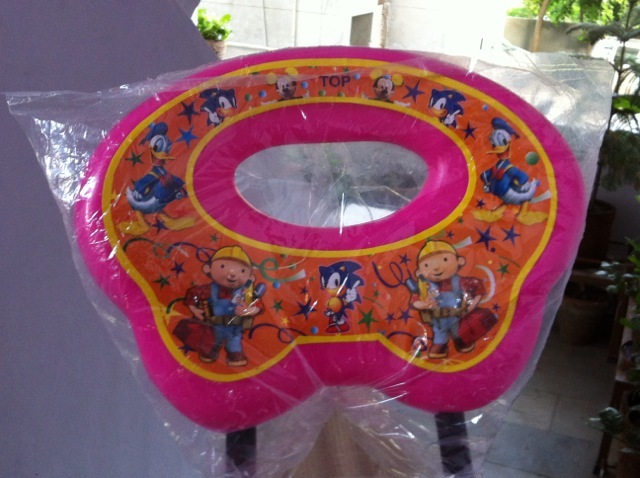 I see them carrying bottles and toys in these baskets. Some stuff for grown ups! Found this hanging on a wall! 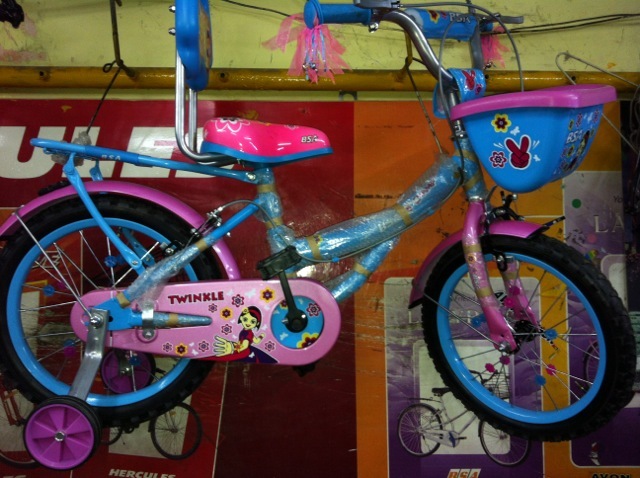 A beautiful blue and pink girlie cycle! 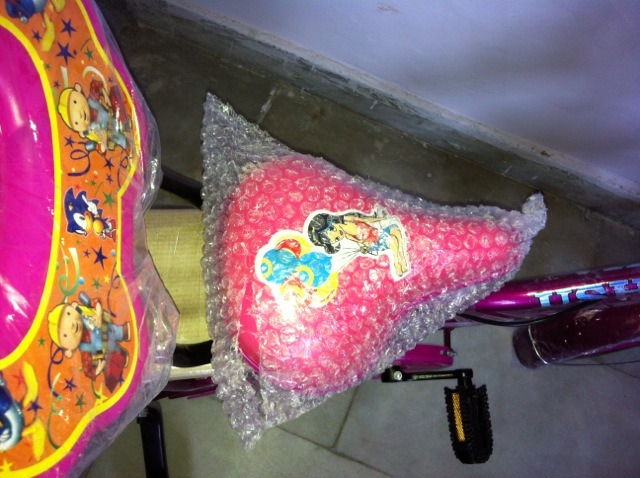 This is what we got for my pink-crazy niece!! I got the seat changed to a mermaid print one! Her favourite, after barbie that is. 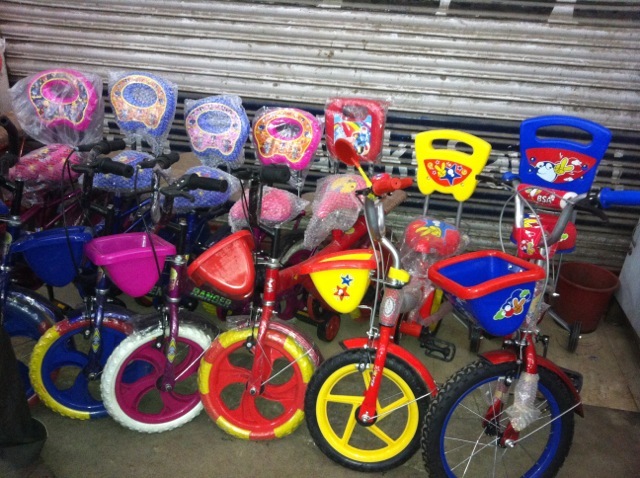 i m looking for a cycle for my 7 year old n things have drastically changed since i bought his last cycle 4 yrs ago!!! 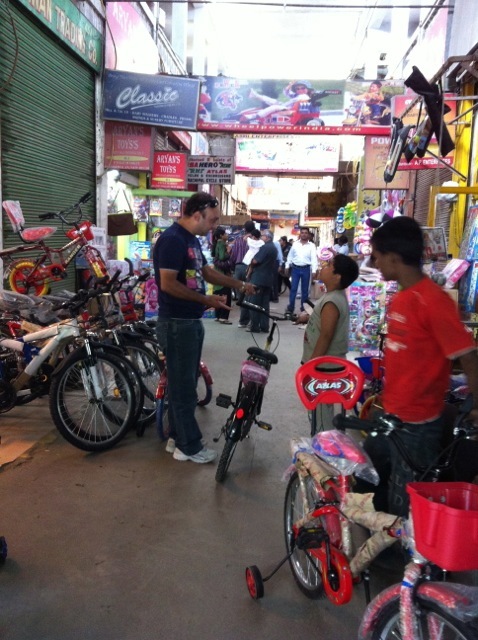 Your insight n preview of jhandewalan cycle market is quite helpful…i better go there rather anywhere else!!! 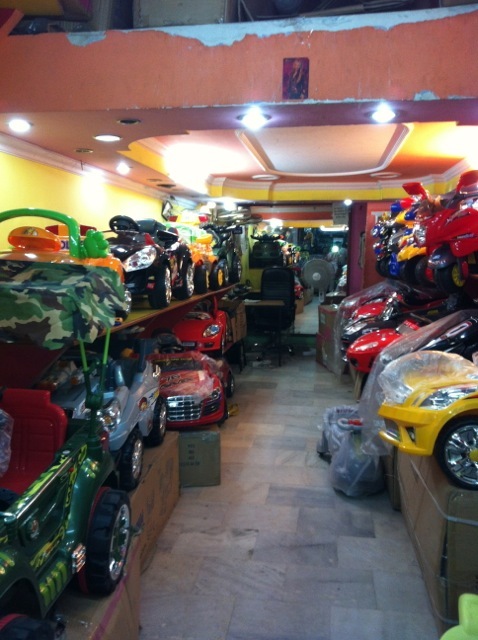 Hey, does this market has other stuff for kids like strollers, cradles and baby toys etc ? or it is just a cycle market ? Hi, yes you do get strollers and cradles too. I don’t remember seeing Toy store there. 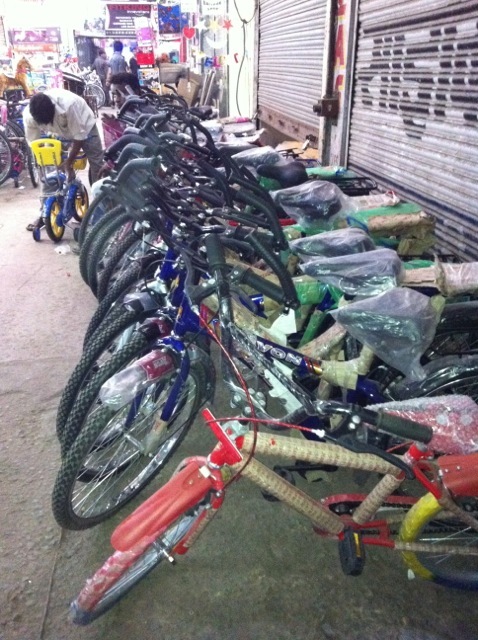 Its more known for cycles and prams etc. 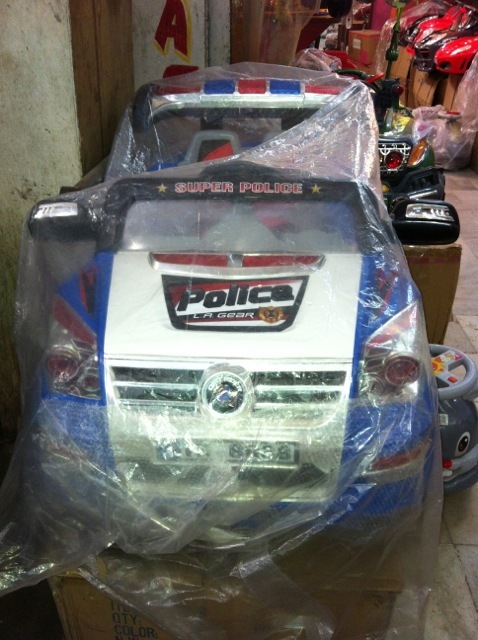 can you take your car there is there some parking available, I am novice driver and reluctant of congested places. how is this cycle holding up? 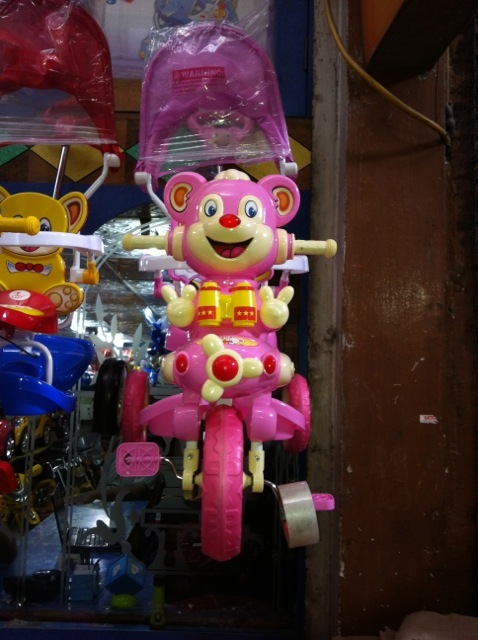 I too want to buy a cycle for a 4 year old kid. I went to this market and salesman told me to avoid buying local stuff as the bearings inside it do not behave well after few days and make cycle heavier. I was really confused. I need to buy it in another 3 days. Would appreciate any response from you. 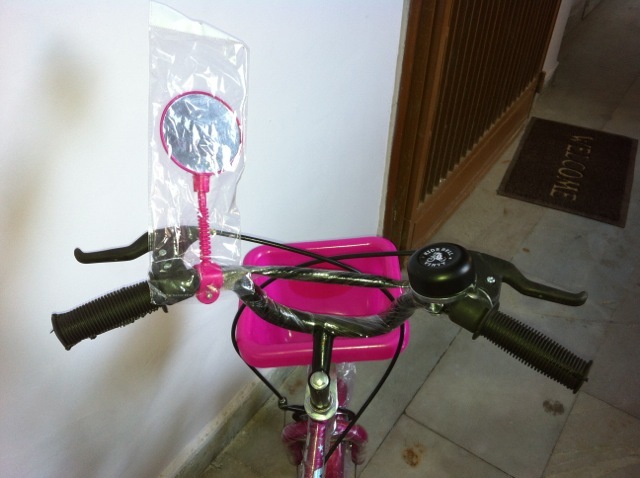 My niece used it only a few times when she visited us in Delhi. SO the cycle is still as good as new. So I would not really be able to comment on how the cycle performs under regular usage. 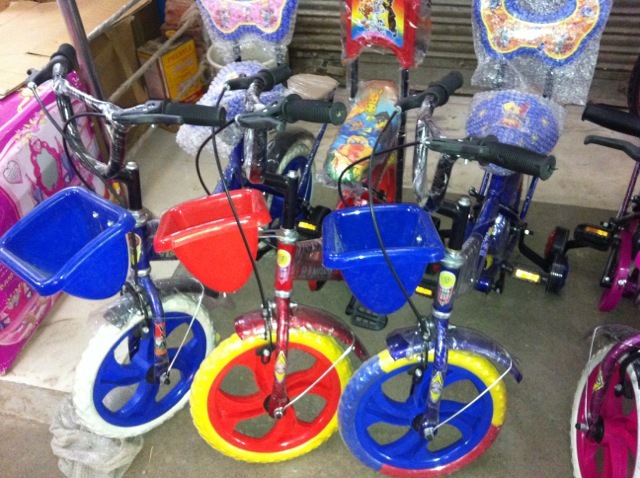 If you intend to teach your kid how to ride a cycle without the support wheels, then I would too suggest to go for branded ones.